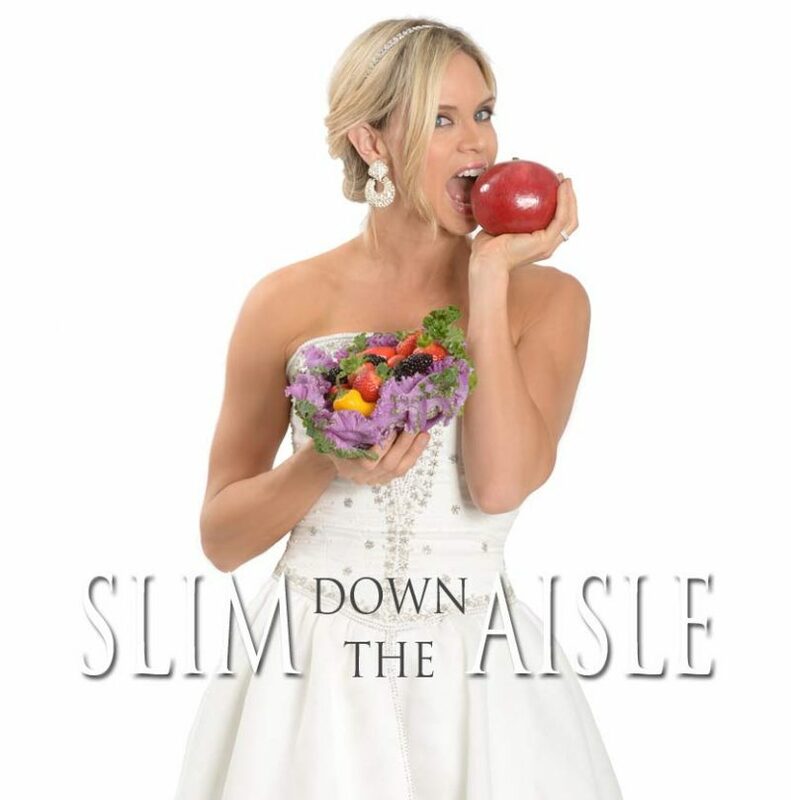 o help you “slim down the aisle” I’ve come up with some Fitness Tips For Brides to help you look and feel amazing on your big day. While these are only some of the things you can do to slim down the aisle, they are a great foundation to not just looking your best, but they will help you feel AMAZING! If you are wondering when a good time to ‘get into shape’ for the big day, when all eyes are on you, the answer is…RIGHT NOW. While you might be able to slim down the aisle on a quick workout regimen, the weight loss rule of thumb is an average of 5 pounds a month. What does that mean? If you’re looking to lose 30 pounds to slip into that dream dress, you’re going to need about 6 months on average to do so. While some think they can eat anything and simply “work it off” in the gym, most of us in the industry know that only works for a few select…men with metabolic rate of a cheetah. My husband can eat what he wants, when he wants and never gain a pound. But even he is starting to see the importance of a balanced diet. Keep a log of what you eat and when you eat it. The simple answer to a diet change is to kick up the amount of veggies you eat. Concentrate on “Superfoods” like eggs, broccoli and asparagus. They fill you up, help you feel fuller long and yes, they will even help you lose weight. No soda. No candy. No ice cream. And please, whatever you do, stay away from fake sugars like Splenda, Sweet & Low or anything that contains High Fructose Corn Syrup. 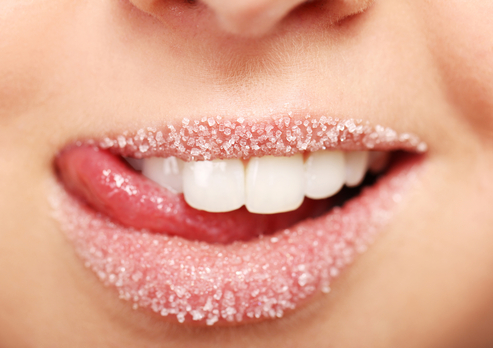 Fake sugars trick the body into thinking they don’t need to burn fat and are of no use to the new and improved you. The trap that most soon-to-be brides will make is the setting of unrealistic weight loss goals. I had had a client tell me she wants to pull on a size 2 wedding dress on her big day but she was starting at a size 10. The secret to setting a goal for your wedding day is understanding what body type you have and what weight you feel the most pretty. Some people actually look better with some ‘meat on their bones,’ while others look great at that size 2. The key is to find what works for you by setting a realistic goal. Are you able to commit to a serious workout and nutrition plan? Are you open to changing just about everything in the process? If you are, then please understand the road ahead is going to be filled with lots of work. If it were easy, everyone would be doing it. You have to commit your life to changing the way you not only feel about your body, but change the way you eat, when you eat and what you eat. Weight loss is all about what’s on the plate. If you put garbage in, garbage out is what you’ll see. If you simply keep doing what you’ve done in the past, then you’re setting yourself up for heartache. Be prepared to commit to jogging, cycling and hitting the weight at least 5 to 6 times a week. If you want results you need to change the way you do everything. I see it happen all the time. A new client will come to me 3 months before her wedding and she tells me about some crazy fad diet she’s on to lose 20 pounds. With a closer look at the diet, I see that she is starving herself to lose that 20 pounds. This is NOT how to optimize your body’s full potential. Our bodies are fat burning machines, but our diets or lack thereof, kill the machine and slows down our metabolism. When we build muscle means we are resetting our metabolic rate to work the way it was intended to…burn fat. When you set small goals, you are reprogramming your mind to feeling good about what you are doing as you accomplish them. Nothing hurts the body more by overdoing it, let alone risking injury because you want all those pounds off today. Start slow. Try to get to the gym for strength training at least 2 times during the first week. Need to pick up something from the store? Pull on your sneakers and run there. Do you work on the second floor? Take the stairs. In week 2, repeat the steps you did with week 1 and simply add some more time and activities. May be run for an extra 10 minutes or add another exercise to your strength training sets. Nothing will make you feel more motivated to keep up the routine than accomplishing a goal. That’s right, stay away from all the self-judgment that comes with stepping on the scale. When you train, you are losing fat but at the same time you are building muscle. Muscle takes up less space in the body than fat, so adopt a visual system by taking photos of yourself in the mirror. You don’t need to share these photos with anyone, but when you compare week 1 photo to week 5 photo, you will see your visual results. 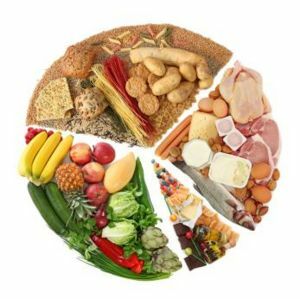 Trust me, you will actually look healthier because you are fueling your body with whole foods and the right nutrition, coupled with a steady work out plan. 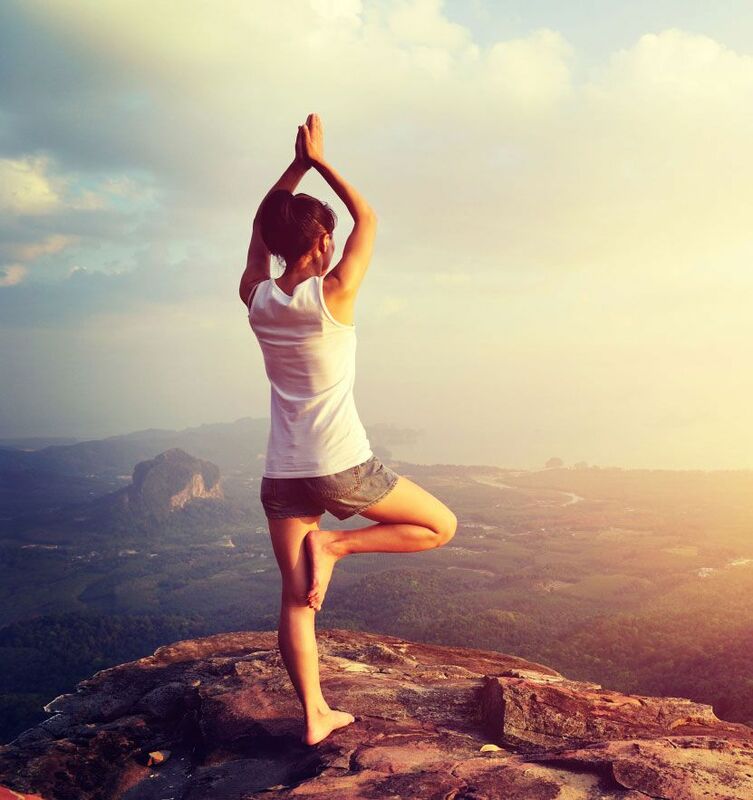 To help keep you clear of gym fatigue, switch up your workouts and find something outside. Go for a bike ride, but ride hard and really push yourself. Go for a run before work, but really RUN with interval sprints between recovery jogs! Feeling lonely during your workouts? Workout with a friend or your bridesmaid. She too wants to look her best on your wedding day, so team up. Nothing beats gym fatigue than a team goal. Your wedding day is something you will remember and relive for the rest of your life. Take advantage of the goals you have set for yourself. Nothing drives a woman more than looking great on her wedding day. Use this motivation and feed off of it to keep going even when the going is tough. Sure, it might be hard, but your big day is worth it, right? You’re only walking down the aisle once, god willing, so please keep your POSITIVE MENTAL STATE tuned into the desire to look and feel amazing on your special day. Need help? Call me, I’m always working to help girls SLIM DOWN THE AISLE.